"Nessel, the first openly gay person to run for statewide office in Michigan, could claim victory." "A former U.S. attorney with a buttoned-down campaign style, he was bidding to become the state’s first African American Attorney General. " I certainly hope that these two have something a little more substantial to offer voters later this year. I have yet to see anything substantial from their respective records to convince anyone to vote for them. I gave up looking long ago, Kevin--not just for these two, but for all of them. Elections are won on pathos, and to a lesser degree ethos. Logos just isn't a factor, and that's why we have the government we have. I'm not 100 crazy on the republican, Libertarian, or any of the other so-called third parties as a whole throwing their respective hats in the ring at this time, John. 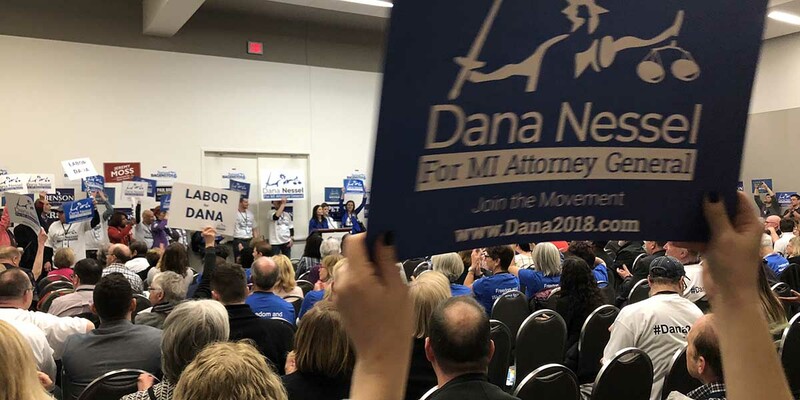 But call me a closet optimist thinking that there are some individual candidates who not only have a clue what the job they are running for actually entails, but also have the integrity to do what is right for Michigan. I'm a bit confused. Do party insiders get to decide who goes on the ballot or do they still have to let the public decide during the August primary? It's not exactly democratic to require anyone who wants a say in this race to go to Detroit! I heard Ms. Nessel giving a reply on a newscast. Every other word was like, um, like, you know, like. Sounded similar to a bubble gum popping teenager. My comment to my companion was that she had better clean up her public speaking if she wants anyone to take her seriously. Words matter.